« MIX Chapters 36, 37 and 38 Released! So, as some of you probably noticed, things died here again pretty fast after the last few releases. Long story short: we can’t keep up. The original project is basically dead, our original TL quit, he started working, our new one, Arnastia, god bless him, also has work and other things to take care of, so he’s not always free to translate, and I’m also pretty caught up with life lately to the point where some chapters have been translated here for a while and no one did absolutely nothing with them. Jump to today and one of our readers said that a new group had picked up MIX! Woo. We checked them out, they seem like good people, the chapter they released also seemed fine TL-wise. I also found out that they tried to contact us asking for a status update all the way back in November (and I only saw that e-mail today, hi), so I think it’s only fair we, well, pass the torch to them. That way you’ll probably get MIX faster. The group is Rycolaa, and their website can be found here. They have released Chapter 39 yesterday, and I’ve tried to contact them and sent them the translations for 40 and 41 which we already had here in order to try and speed up the process. If, by any chance, their project gets dropped, we’ll look into continuing from where they stop, but at least for now this is Tenko signing off from the MIX project. We hope y’all enjoyed these 38 chapters over the last couple years and had fun with Adachi just like we did! 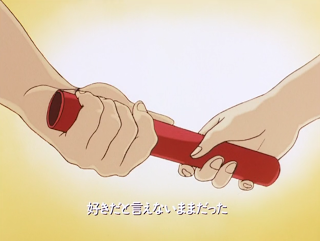 And now it’s time to pass the baton to our friends over at Rycolaa, as that just seems fitting after finding out that the ‘Touch’ title was decided by Adachi because of the ‘baton touch’ expression, lol. Cheers, everyone! Thank you for the work you did previously! I saw someone had released a new chapter. I am glad someone has picked this up! Wasn’t expecting goodbyes after waiting those months. Well I understand life become busy day after day and people sometimes cant finished what they started, So Farewell and thanks for the hard work you’ve done in the past years because we loved it. Thanks very much for all the hard work. We thoroughly enjoyed them! Thanks for the hard work and letting us know about the other group!